What does Raashid mean, details, origin, short & easy attributes? Raashid pronunciation in 20 different native languages. Raashid. Gender. Boy. Meaning. In Sindhi meaning is : Major, Adult, Orthodox, Guided, Intelligent. Raashid is baby boy name mainly popular in Muslim religion and its main origin is Arabic. Raashid name meanings is Major, Adult, Orthodox, Guided, Intelligent. People search this name as Raashid. Raashid is written in Urdu, Hindi, Arabic, Bangla as راشد, राशिद, راشد, রাশিদ. Other similar sounding names can be Raadhii, Raafat, Raafe, Raafid, Raafiif, Raaghib, Raahil, Raahim, Raajii, Raakib, Raakin, Raamis, Raamiz, Raatib, Raazi, Raabia, Raabiah, Raabitah, Raafiah, Raahilah. Each letter meanings in Raashid Name. Popular personalities with Raashid Name. Raashid Alvi is a National Spokesperson, Indian National Congress, Member of Parliament, Lok Sabha, and Rajya Sabha. 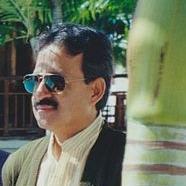 Raashid was born on April 15th, 1956 in Chandpur, Bijnor, Uttar Pradesh.